Developed by Stefan Borselius, Moow is an innovative concept that, at first glance, reminds one of bed sheets drying on the line. 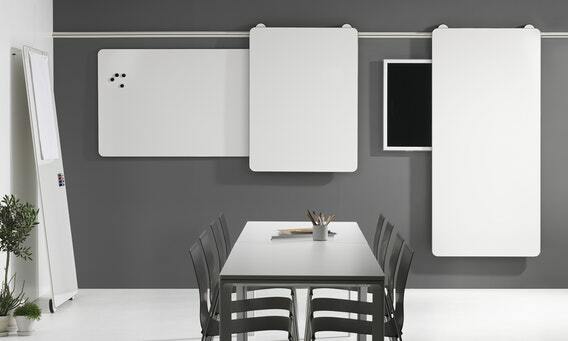 But hanging here on a rail are whiteboards of different sizes, easily slid right and left on their wheels. 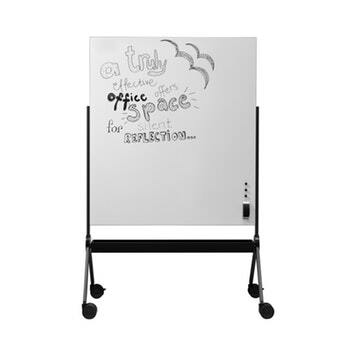 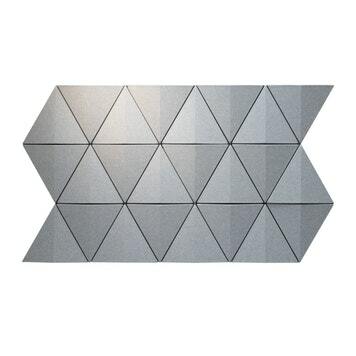 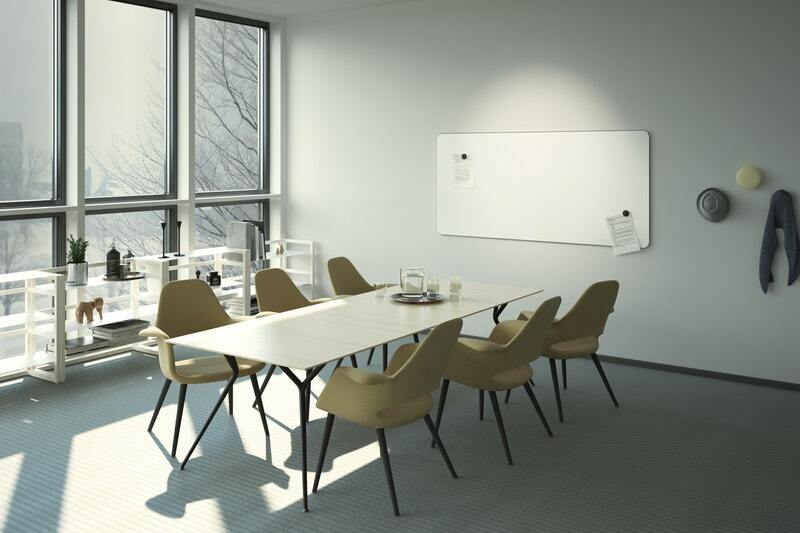 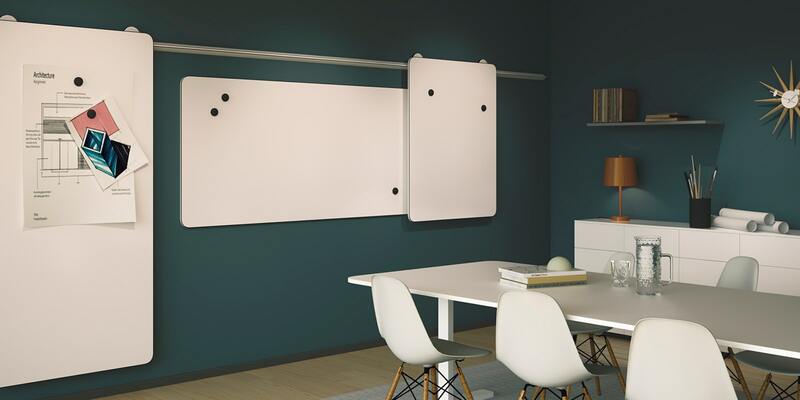 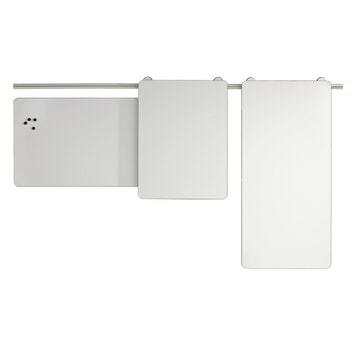 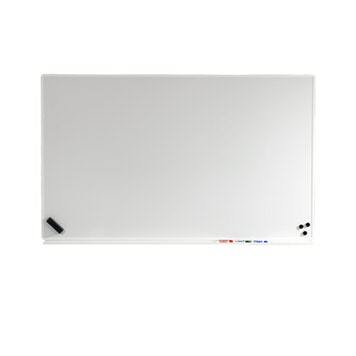 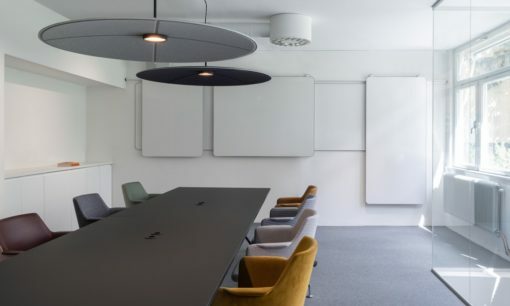 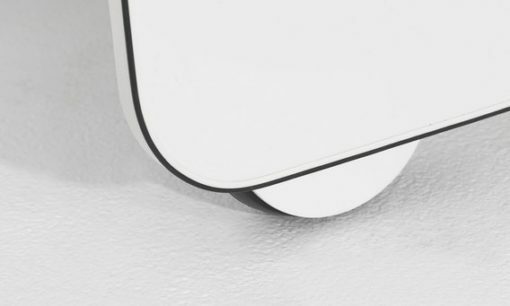 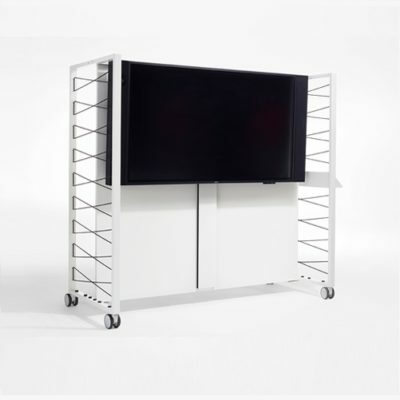 The concept also includes hooks for hanging flipcharts and wall-mounted static whiteboards.